Sherri is co-author of this popular positive education book. Transform your home and school with the SMART Strengths approach. Grade-leveled appendix of activities. 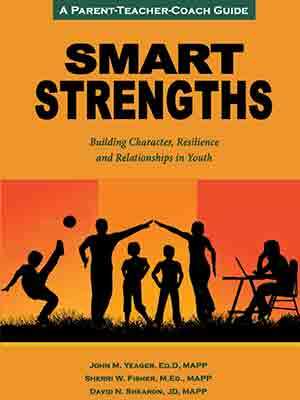 Loaded with activities, resources and real-life examples, SMART Strengths is the new gold standard in the field of positive education. The SMART model demonstrates how to change a school system, one person at a time, so that it’s not just about bringing positive education to students; it’s also about maximizing the strengths of the adults who interact with them in every environment that fosters character and achievement.